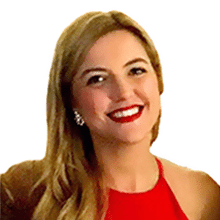 WashingtonExec recently named Kristin Cuadros, Executive Assistant at Attain, as the Chairwoman of its Executive Assistant (EA) Committee. The WashingtonExec EA Committee is the only group in the D.C metro area specially designed for the professional development of Executive Assistants in the government and government contracting sectors. The formal network for C-suite EAs in the government contracting community, the committee touts more than 100 EA members who convene to enhance the profession, share best practices, and engage in professional development. Topics for the group include honest dialogue, building a network, crisis communication, financial statements, and technology adoption. Kristin Cuadros is a seasoned EA with more than six years of experience supporting CEOs in the GovCon industry. 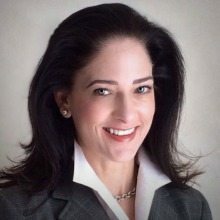 Prior to joining Attain, she supported the CEO and COO at Salient Federal Solutions, a midsized government IT services contractor with worldwide operations, now operating under SalientCRGT. Cuadros was with the organization from startup through six acquisitions that grew the company to $360 million in revenue and over 1,700 employees. In addition to her current role supporting the CEO of Attain, Kristin has expanded her responsibilities by working directly with customers on site and providing support on various contracts. She is also responsible for the oversight of Attain’s facilities needs as the company continues to grow at a rapid rate. She continues to find new ways to contribute to the company’s success while building upon her current abilities. Jana DiCarlo is a best-in-class virtual executive assistant at Backbone Resources LLC, a business she founded to meet the administrative needs of retiring / transitioning executives, entrepreneurs and high-net-worth individuals. Prior to that, she spent over 15 years supporting CEOs to include Jim Rutt (former CEO, Network Solutions), Brad Antle (former CEO, SI International) and Ed Casey (former CEO, Serco Inc.) to name a few. Handpicked by JD Kathuria, Ms. DiCarlo is the founding chairperson of the WashingtonExec Assistants Group. She has been featured in The New York Times, The Los Angeles Times, The Washington Post and The Washington Business Journal. She is the author of 7 Keys to Executive Success: A View From the Desk Outside Your Door and Is Your Executive Assistant the Whole Package?